This month, North Carolina lawmakers had a golden opportunity to adopt fair, nonpartisan standards for drawing new legislative voting districts. Instead, they opted for politics as usual, keeping partisanship at the core of a deeply flawed redistricting process. The General Assembly has been ordered by a federal court to redraw dozens of racially gerrymandered legislative districts. This latest round of redistricting comes roughly 18 months after the legislature faced a separate court order to redraw racially gerrymandered congressional districts. Sadly, this is just the latest in a long line of lawsuits and controversies caused by gerrymandering in our state. And so, the GOP-led legislature had in its hands a chance to finally end the cycle of gerrymandering by listening to the overwhelming majority of North Carolina citizens who want fair and impartial standards for creating our voting districts. Instead, the Republican majority rejected nonpartisan redistricting criteria, guaranteeing that new legislative districts will be blatantly gerrymandered, just as the old maps were. That’s because the district lines are being manipulated with an eye toward past election results. It’s the key ingredient for creating gerrymandered maps that provide maximum advantage to the party in power. The truth is that many Republicans, including House Speaker Tim Moore and Senate President Pro Tem Phil Berger, are on the record as supporting nonpartisan redistricting in the past. In fact, Moore and Berger have sponsored nonpartisan redistricting bills nearly 10 times collectively during their careers in the legislature. That answer, of course, is that their party is now in charge of the redistricting process and has the power to gerrymander. And to be fair, when Democrats were in the majority, they ignored all attempts to create a fair redistricting process. But regardless of which party is guilty of gerrymandering – and both parties are – the result has been the same: politicians shielded from accountability, citizens treated like political pawns and voters deprived of a voice at the ballot box. We the people deserve better. We deserve fairness, rather than partisan political games, on something as important as the creation of our congressional and legislative districts. For years, Common Cause North Carolina has been an advocate for redistricting reform. We stood shoulder to shoulder with Republicans when they were the minority party championing reform. And today we stand with political leaders, business owners and citizens from both sides of the political aisle who seek a bipartisan solution to gerrymandering. Last year, we partnered with Duke University’s Sanford School of Public Policy to enlist our state’s most esteemed retired jurists to produce a sample congressional map without political consideration. The result was a map that better reflected what North Carolina is: a politically divided, “purple” state. Our jurists were also faithful to the requirements of the Voting Rights Act, resulting in more opportunities for minority representation than the current map drawn by the legislature. And this spring we worked with Campbell University law students to simulate a nonpartisan redistricting exercise for creating legislative maps. Once again, the resulting districts were more compact and competitive than those created by state lawmakers. The Campbell maps also produced significantly more minority opportunity districts. While we’d like to hope that lawmakers would draw fair legislative districts, time and again, we’ve seen legislators instead manipulate voting maps to unfairly favor their own party. It seems that maintaining power at all costs, even by risking costly litigation, is just too tempting to the party in power, regardless of which party it is. That’s why we the people need to keep the pressure on. We need to demand reform. We need more voices from the right and left. And we need more civic leaders, including local elected officials and members of the business community, to join the cause. What we demand is a process that is transparent, with true public input. And that means the issue of race must be dealt with where minority voting strength is never weakened by racial gerrymandering. We demand a redistricting process that is independent, where lines are drawn by someone other than partisan politicians. And finally, we demand a process that is absolutely nonpartisan, where there is no political consideration looking at past election results, or where incumbents live or how voters are registered. Last week, North Carolina citizens were provided with a brief chance to weigh in on newly proposed legislative districts. Unfortunately, the proposed districts were released – without important accompanying data – less than 72 hours before the hearing, leaving the public without the tools to fully examine the new districts and how they will impact their communities. Since that time, it’s become painfully obvious that the new maps represent, as many had feared, yet another egregious partisan gerrymander. Now, just days after having ignored repeated demands from hundreds who testified that they head back to the drawing board, lawmakers are poised to pass these maps into law. 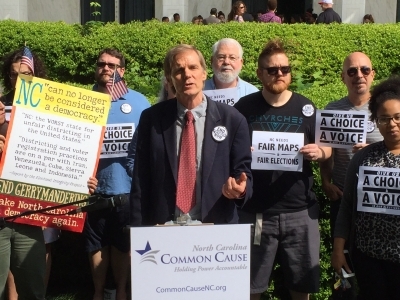 The bottom line: Yet again, state lawmakers have dropped the ball when they rejected the chance to draw fair voting maps and instead perpetuated the decades-old cycle of gerrymandering in North Carolina. It was a tragic mistake and one that may come back to haunt them in the not-too-distant future. 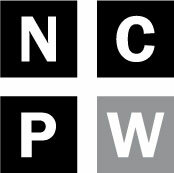 Bob Phillips is the Executive Director of Common Cause North Carolina.